Scanning the last nine years of Western visual art production reveals a cultural stand-off between various art regimes caused by the digital: post-conceptual, pop, and post-internet art, plus art displayed on Instagram and other social media channels. This link-essay curiously slides along those surfaces, following the hypothesis that the internet caused a shift that is not only disturbing the set-up visually, but also conceptually. To show this, the links discussed will visit sites that track down contemporary dislocations of the art audience. Scrolling down into recent history and up into the future (i.e. Berlin Biennale 2016 curated by DISmagazine), the aim of this essay is to get a glimpse of the fascinating mess we find our presence in. Visually claiming the already written-off position of the avant-garde, projects like DIS Magazine (chapter 6), or Shanzhai Biennale (chapter 7) embrace digital slick surfaces even more than Lucky PDF’s gender-fluid, multiracial utopia, based on the clear selection criteria of looking good clean. Their visuals respond to stereotypical market requirements often invoked by big consumer brands – this is the moment that gives the art world a hiccup. While art fairs and art markets have always been part of the art world, the secret rule was that the market should not pervade the artwork itself. An artwork might explore brand mechanisms, but should not cater to them. Balancing along the thin line between parody and affirmation when surfing, a word-wide-web-chic stirs up enough irritation and gets one recognized; at least for one remarkable moment. “For every generation there’s a GAP.” Today, the Berlin Biennale 2016 might become the new generation’s first retrospective. But after the show has ended, the role of the art audience and its art perception will remain changed. Mercedes Bunz writes about technology, critical theory and journalism. She is a senior lecturer at the University of Westminster (London) and co-founder of meson.press, which publishes open access research on digital cultures and networked media. Her last book is The Silent Revolution: How Algorithms Changed Knowledge, Work, Journalism, and Politics Without Making Too Much Noise (Palgrave Macmillan 2014). A common theme runs from the first art portraits all the way through the centuries up to our time and into our mobile devices that are taking selfies: looking at people looking out of pictures. The past, Walter Benjamin once wrote, can be seized as an image that flashes up at the moment of its recognisability – and this is exactly what is happening here in this great project with the far too benign name “Museum of Selfies”, started by Danish designer Olivia Muus. An intelligent version of the playful mass phenomenon the next entry talks about. Right from its start, cultural pessimism has embraced the #museumselfie, although the #museumselfie is not the fault of the internet (or Instagram; or omnipresent phones). Instead, it is a logical continuance of what has been coined “the art-architecture complex” (Hal Foster), a transformation that changed the field of art in the 90’s. In other words: not selfies, but the spectacle of beautifull titanium bent side museum constructs by Frank Gehry reduced the artwork to wallpaper; and art fairs becoming the spectacle they are today did the same for contemporary art. 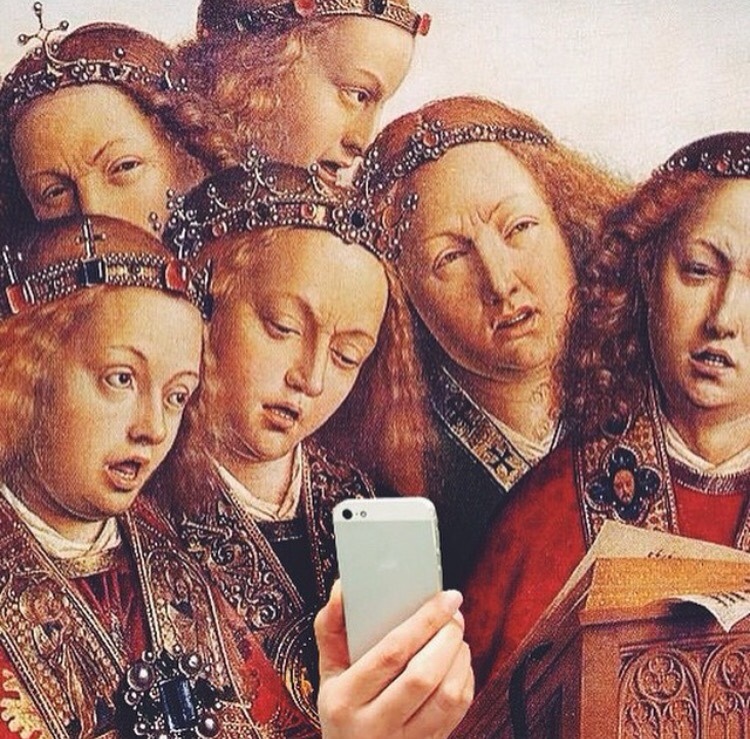 Corresponding to this change, the first #museumselfie day was launched 2014 by UK’s Cultural Themes campaign. Quickly, Jay-Z got involved. Googling Shia LaBeouf turns every browser into a Daily Mail homepage listing mini-scandals and newest Hollywood gossip. This can easily be appeased. Add the words “Rönkkö” or “Turner”, and a very different LaBeouf will appear. They started collaborating when LaBeouf contacted Turner after reading his manifesto Metamodernism. In their collaborations, they sometimes use LaBeouf’s fame as a canvas to work with. Being simultaneously sincere and ironic, their works are exploring the audience and its echo chamber in a hyper mediated age. A serious interest in what this is: hyper mediation is what they share with LuckyPDF, who have developed their own take on it. The well known London artist collective (though a little bit silent at the moment) has been intelligent fun to watch, ever since its four collaborators started to work together 2008. The most interesting aspect is the skilful of conventions not only surfing art, mass media, youth culture, digital media and electronic music, but also mediating today’s global work realities, thereby being both avant-garde and modern (critical). Here, their US friends from DIS magazine slightly differ. DIS Magazine do not just pretend to talk about contemporary culture by mentioning Edward Snowden, Google cars, or Apple Watches. Much like the more conceptual K-Hole, they have instead created a visual concept for a high capitalism in which brands have become the channel to an audience. Reflecting the economics of today’s creative production, DIS Magazine is a platform that also sells digital images. These images often show inexplicable but universal settings with posed-natural moments to display user subjectification – DIS Magazine’s images are problematizing the user as an ocular subject, as Bratton once put it. Since their launch in 2010, they have tried out various forms between fashion, image distribution, art performance, and others; one of the next will be to curate the Berlin Biennale in 2016. Shanzhai Biennial is a trio that describes itself as a brand posing as an art project in the gesture of “Shanzhai” – fake imitation goods that have become globally popular and are often produced in Asia. Their current (and third) production is also the most exciting – at Frieze Art Fair, they produced a promotional video using a luxury real estate offered by the agent Aston Chase. The video features ghostly views of the villa (cost: 32 million pounds) accentuated by an atmospheric version of Sinéad O’Connor’s “Nothing Compares 2 U” sung in Mandarin (the song is a leftover from an earlier Biennale-project, No.2). Asian models have been placed into various rooms and settings of 100 Hamilton Terrace, NW8, whose spacious interior has been designed by Bill Bennette (“timeless design to make a lasting impression”). This interior offers the art project a glamorous, contemporary space, ideal for “entertaining and stylish family living” (Aston Chase). A perfect environment for an art project that aims to be authentically commercial thereby implicating itself in a real economy. Although at the moment of writing, the house is still on the market. For art works exploring the mechanism of capital, Art Metropole is an interesting prototype from a different time. 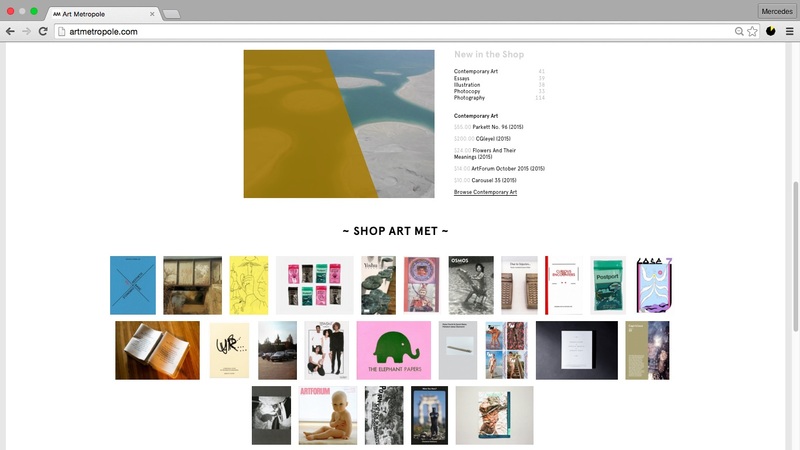 As a service, the (quite lovely) shop in Toronto displays and distributes the work of artists via its book store as well as in its online shop. It was founded 1974 by the art group General Idea, whose approach is not so far off from today’s post-internet projects: “We wanted to be artists, and we knew that if we were famous and glamorous, we could say we were artists, and we would be.” To do it, they took to the media of their time: the magazine. Their own, FILE Megazine, played off the name and visual emphasis of LIFE magazine and did this with glossy graphic competence spread over 26 issues. Today, General Idea is known for creating its own unique mythology, which glamorously embraced ideological struggles in slick art productions that were critical propositions. While General Idea has stopped after two of its members died from AIDS in 1994, Art Metropole is still embracing the infiltration, selling artist books, multiples, zines, clothes, DVDs, cassettes, downloads, and a country cane, which “comes with a Sisyphean AM-PM Decor fall 2012 catalog”. While General Idea shared an economic moment with some of today’s digital productions discussed here, Art Club shared the desire to become famous and an interest in fashion. With their staged photographs shot around New York City often wearing clothing purchased at the Gap (and returned thereafter), the seven art students of Art Club 2000 made work based on the dual notions of institutional critique and of getting famous. Founded in 1992 with art dealer and alternative art-world pin-up Colin de Land, Wolfgang Tillman’s art space Between Bridges (now in Berlin, then in London) re-exhibited their photography in the same year LuckyPDF was founded.